SEOteric is a digital media marketing agency. Yes, we provide marketing services, but our goal is to build relationships and enjoy what we do. That's what drives our results. SEOteric is a digital media marketing agency that evolved from our roots as an SEO firm. We specialize in creating marketing strategies for businesses to engage with customers online using their website, videos, Google and other search engines, social media, email, mobile applications, pay per click advertising, and lead prospecting. We have a multi-faceted approach to online marketing that is engineered to drive engagement and conversions. We offer weekly in-depth analytics and reporting on performance so you can see the impact your digital strategies are having on your bottom line. SEOteric was founded in 2009 by Matt Brooks and Clint Bullock after several years of developing strategies and honing skills on personal projects. We started branching out and helping friends that owned businesses with online marketing and started to see some early success, so they began building a business around online technologies and marketing. We’ve been building websites and marketing since 2006, and since then have added a great team of graphic artists, code developers, marketing specialists, and project managers. SEOteric is fortunate to have some very talented and highly technical people that service our customers. Our team consist of graphic artists to make you look your best, code developers that make things work, SEO and marketing specialists to increase your visibility, systems engineers to keep your website fast and secure, and software developers to help you create your custom solutions. Each of our services has a specific person or team assigned to it, allowing them to excel at what they do. This gives you the best possible service and the best results. We’ve helped companies with branding and logo creation, billboard and trade show designs, website design, custom technology, e-commerce, hosting, security, Google Adwords and PPC marketing, and Social Media marketing. Being so specialized in each area, we can offer a full service solution to our clients and access to our whole team. 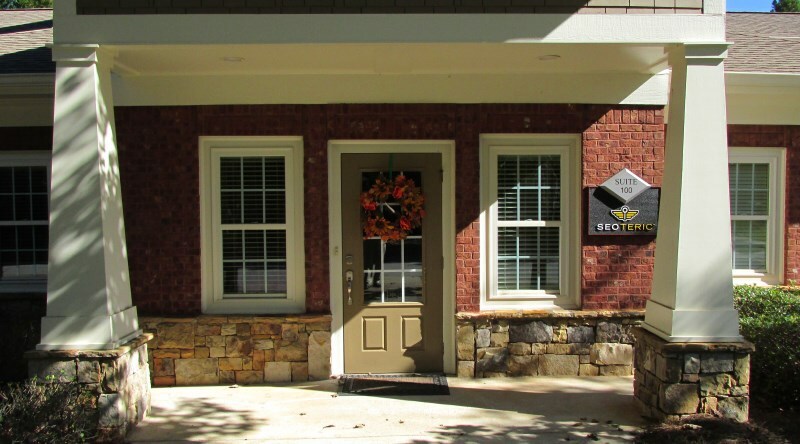 Our headquarters is in Watkinsville, GA – just west of Athens with satellite offices in north Atlanta.